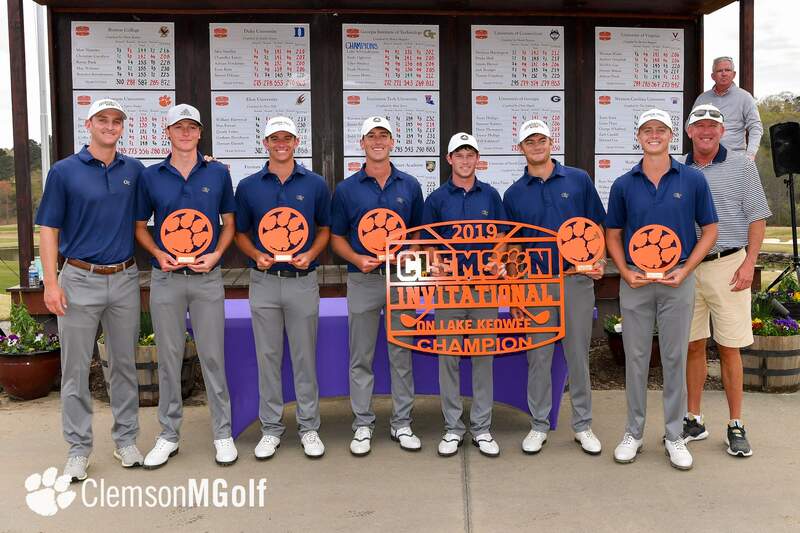 Clemson, S.C. — Bryson Nimmer birdied four of his last five holes to finish with an eight-under-par 64 on Sunday and won medalist honors at the Fourth Annual Clemson Invitational at the Cliffs @ Keowee Falls Course in Sunset, S.C.
Georgia Tech took home team honors with a record setting score of 812, 52-under par. 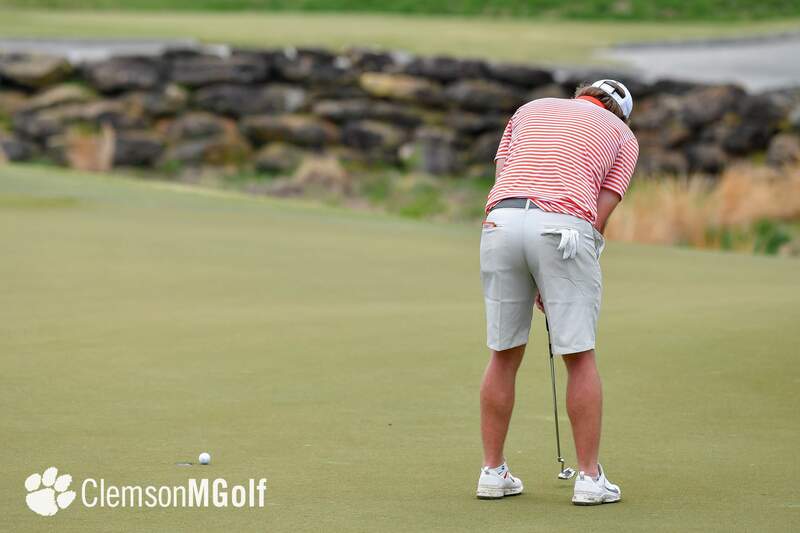 Duke was second with an 823 total, 41-under par. 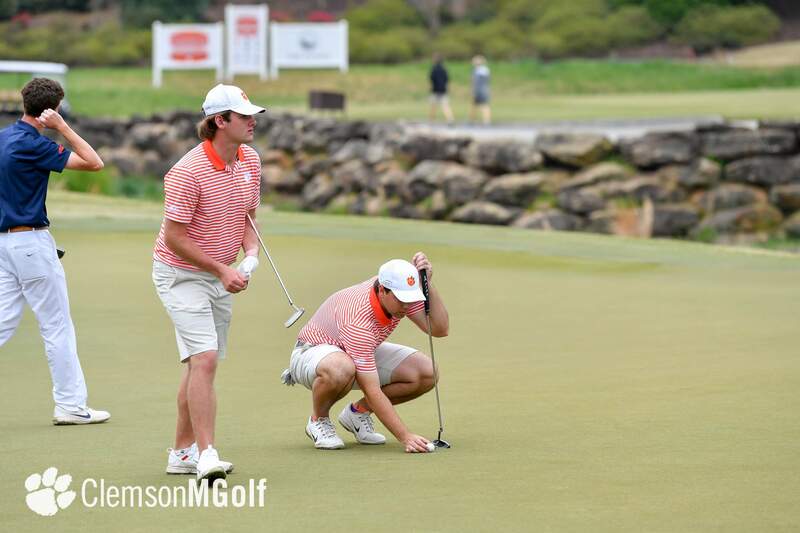 Georgia finished third at 830 and Clemson was fourth at 836. 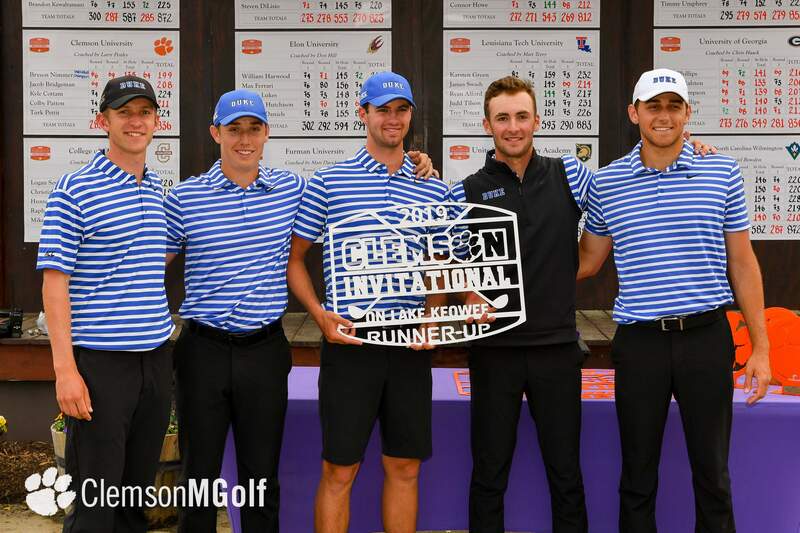 All four teams were ranked in the top 20 in the nation entering the tournament. 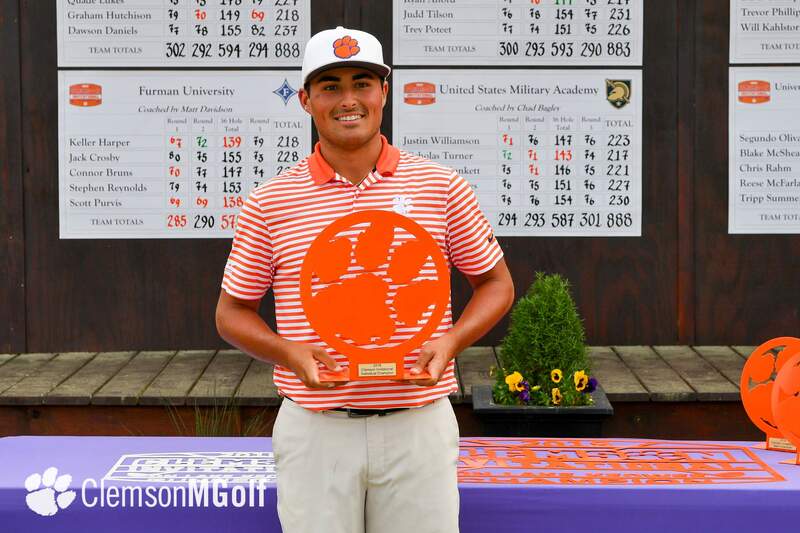 Nimmer won the individual championship with a 54-hole score of 199, 17-under par. 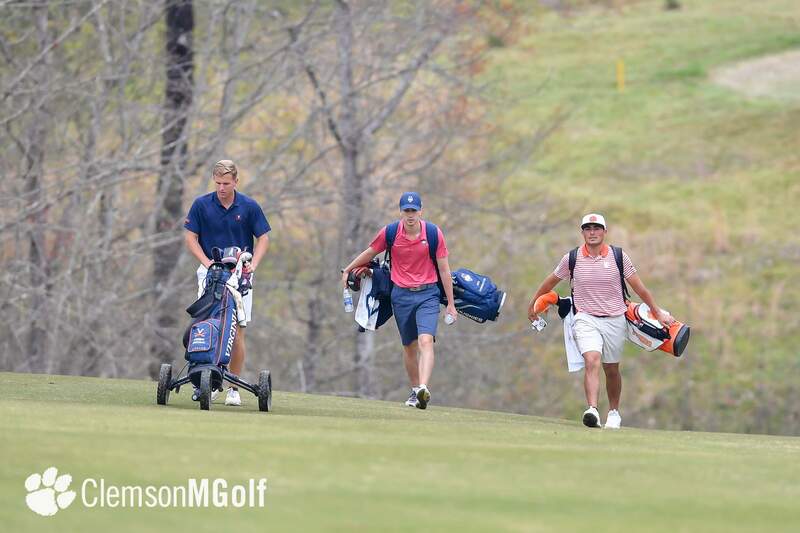 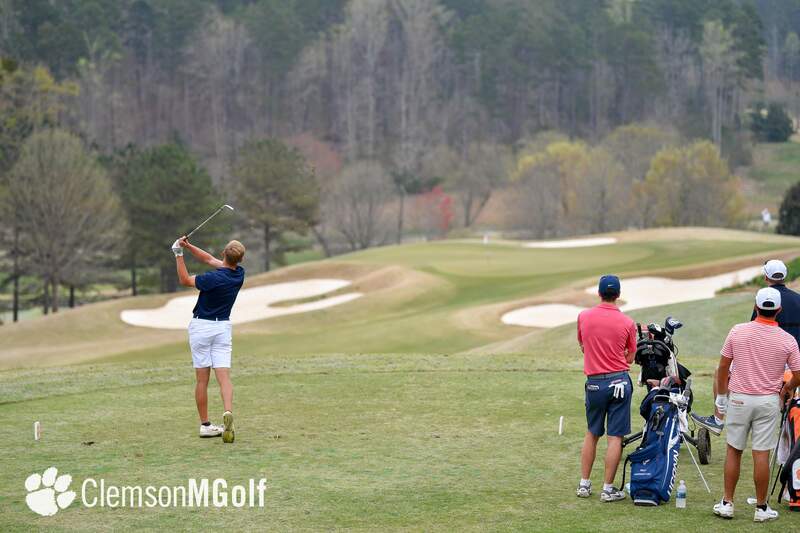 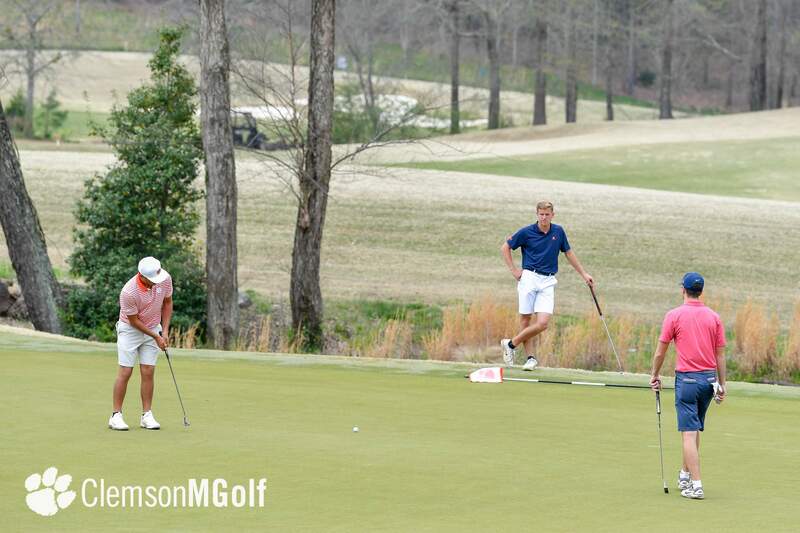 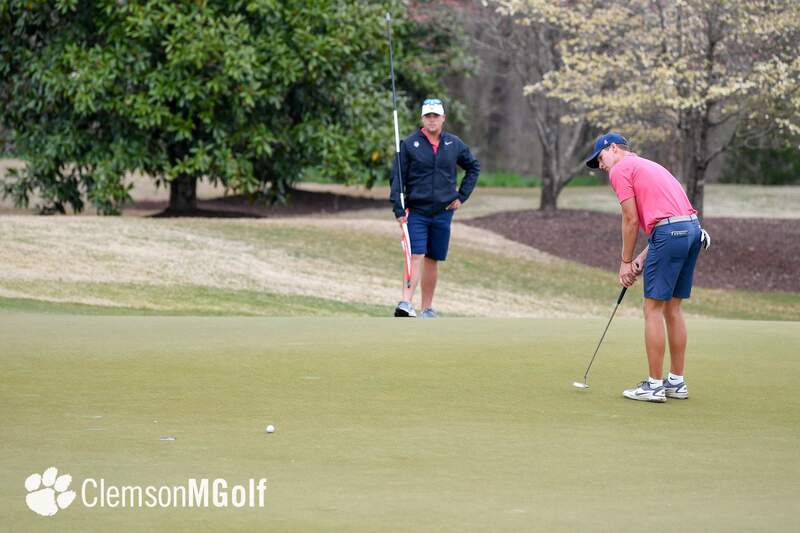 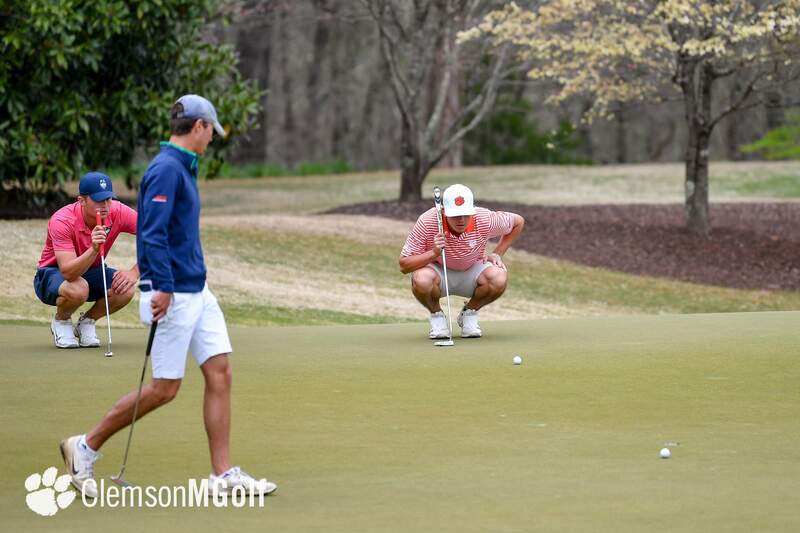 The performance set the school record for total under-par in a 54-hole. 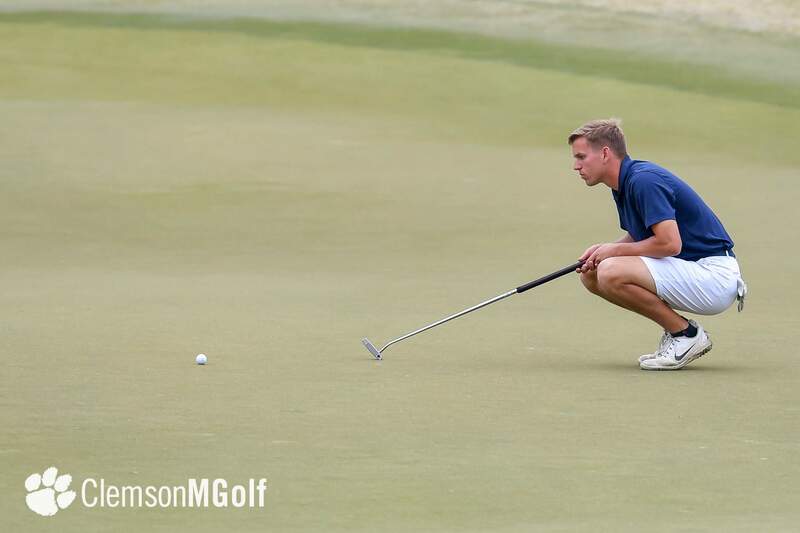 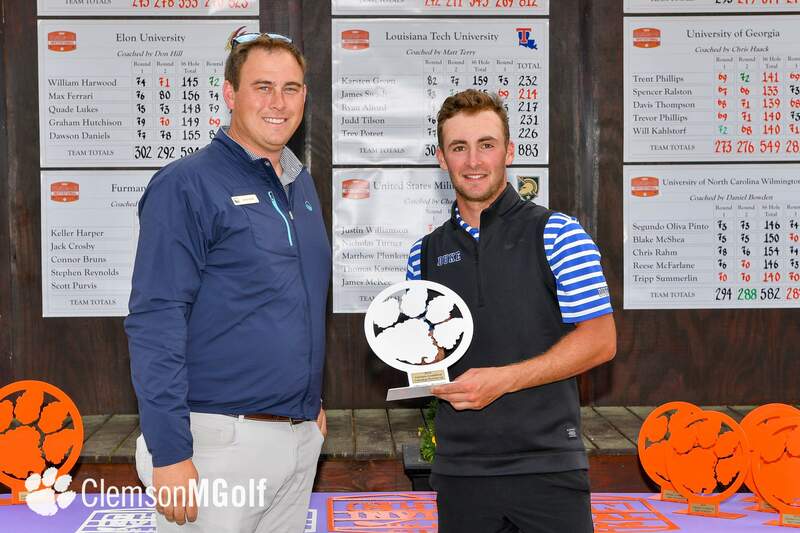 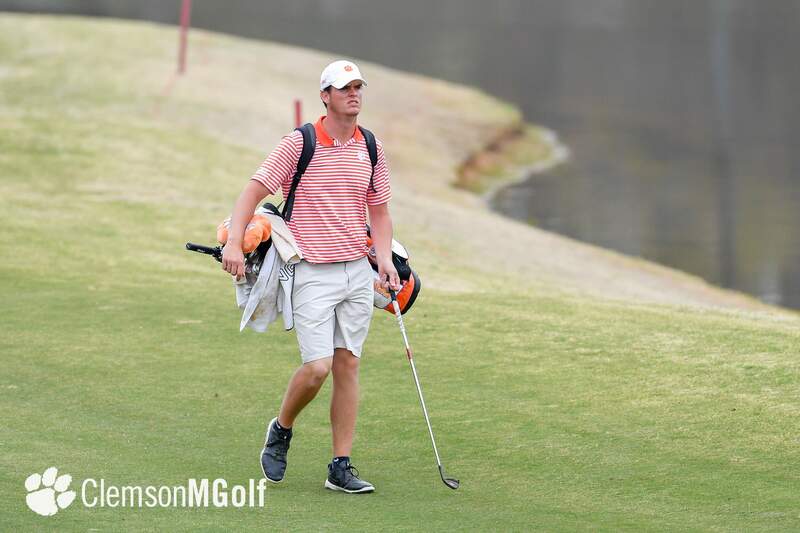 Nimmer shot 15-under-par earlier this year in winning the Maui Jim Intercollegiate. 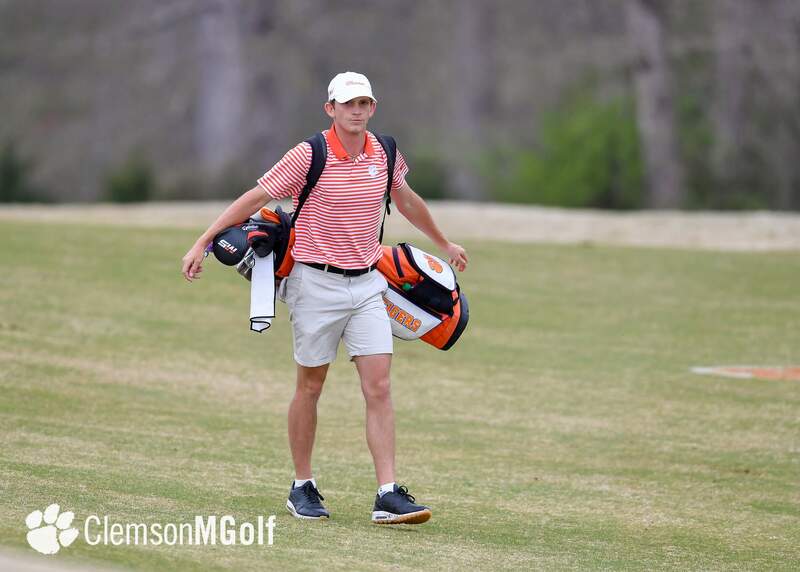 D.J. 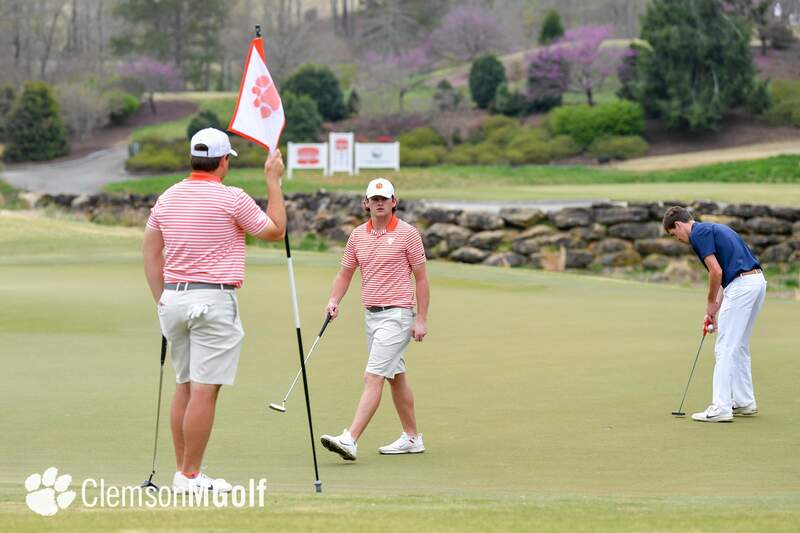 Trahan and Doc Redman also had 15-under par scores during 54-hole events previously. 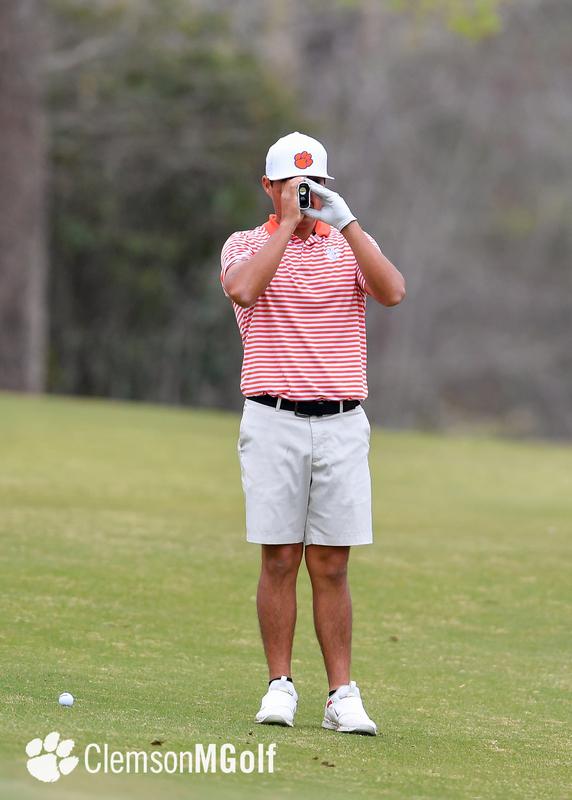 Nimmer made a career high 20 birdies and had just three bogeys over the 54 holes in gaining the victory. 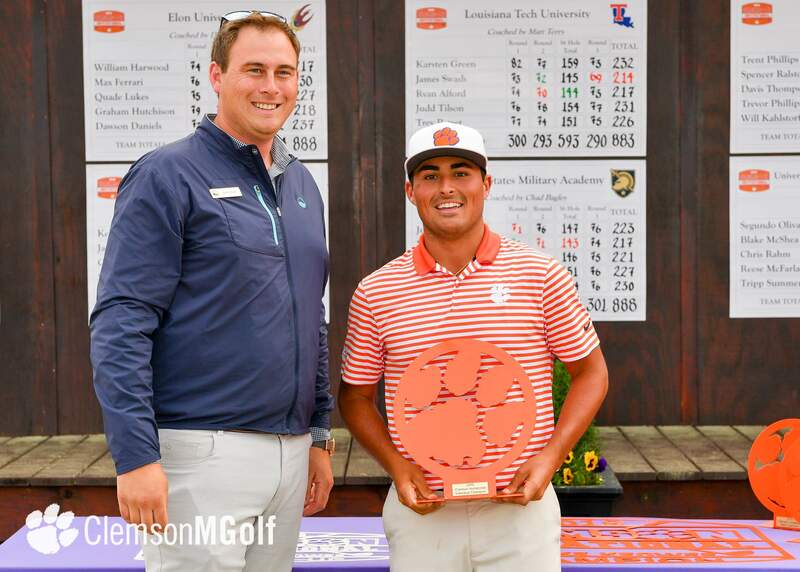 He defeated Adrien Pendaries of Duke by a shot and Luke Schniederjans of Georgia Tech by three shots. 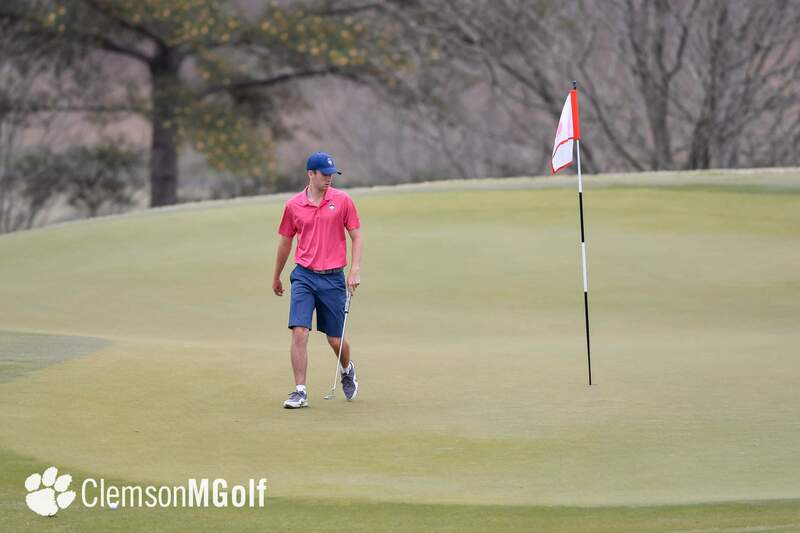 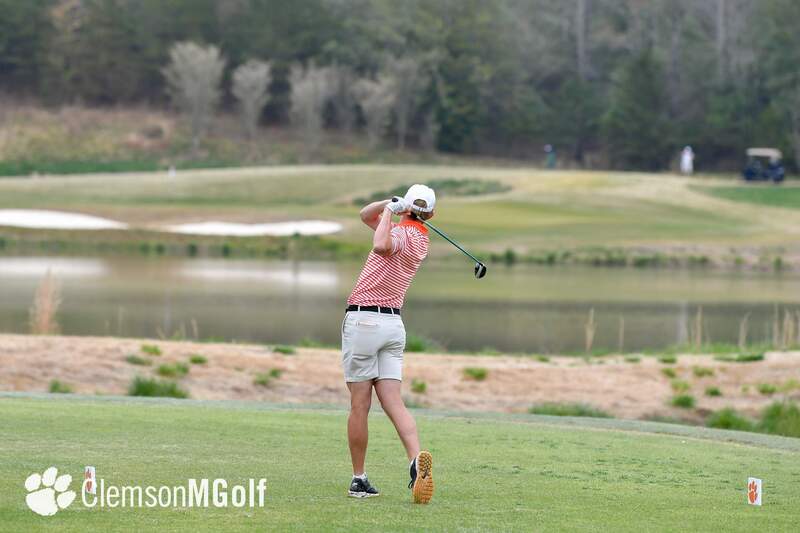 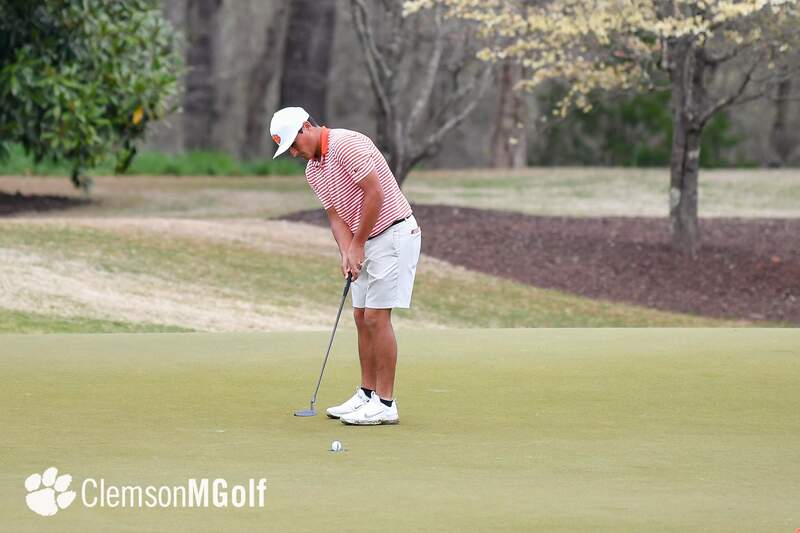 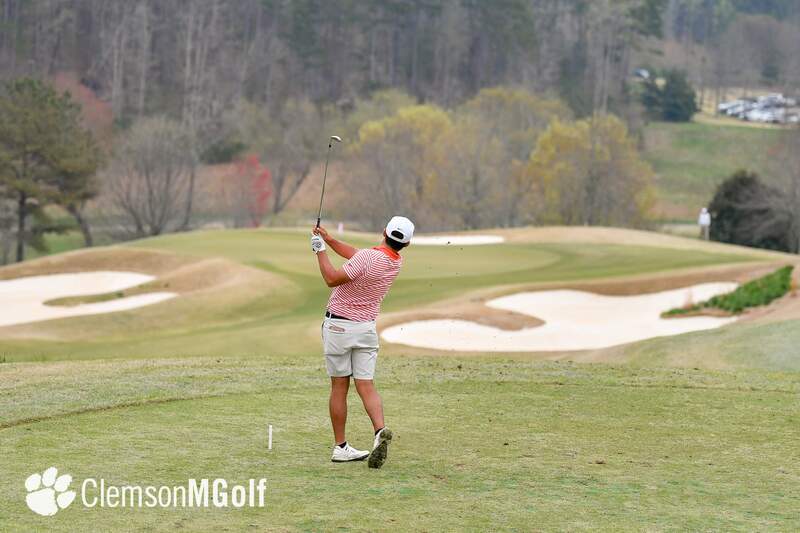 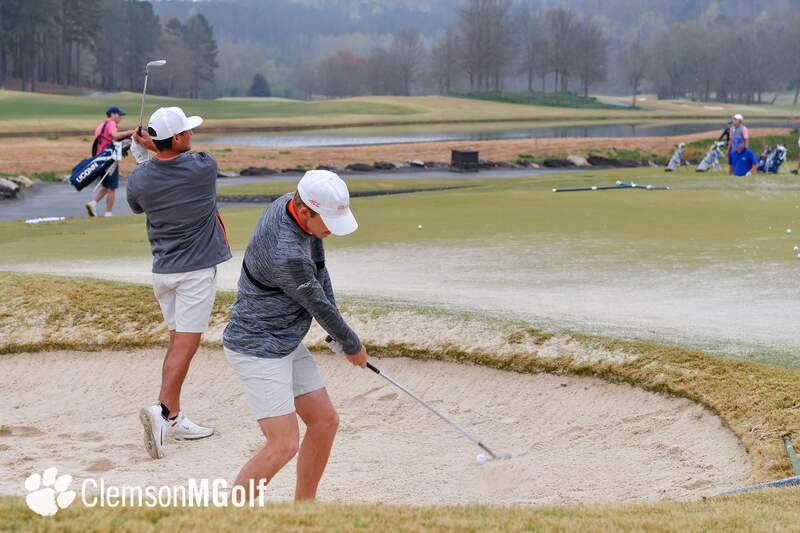 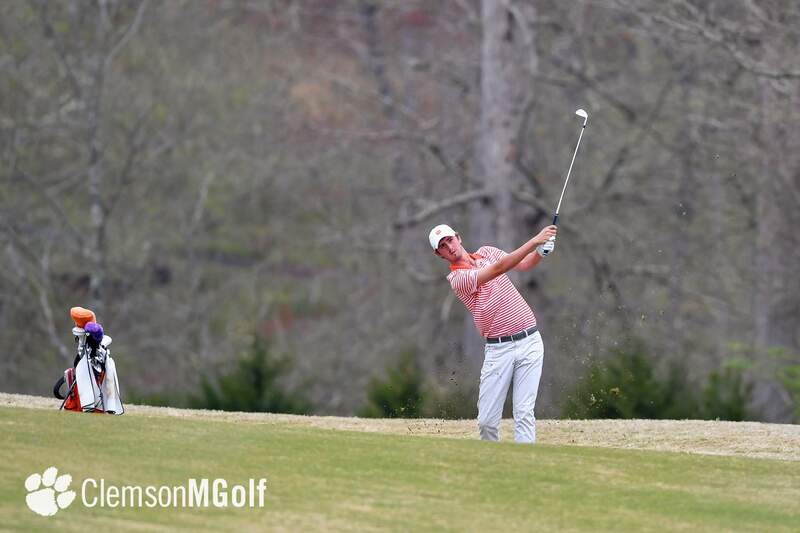 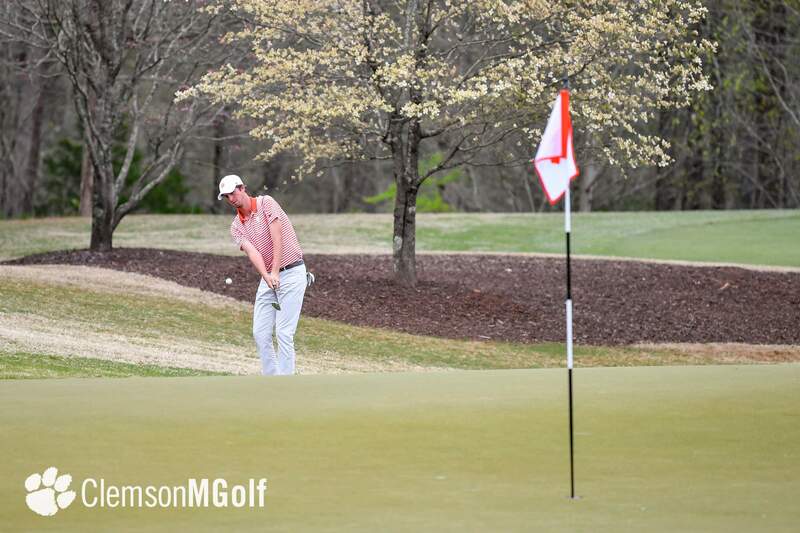 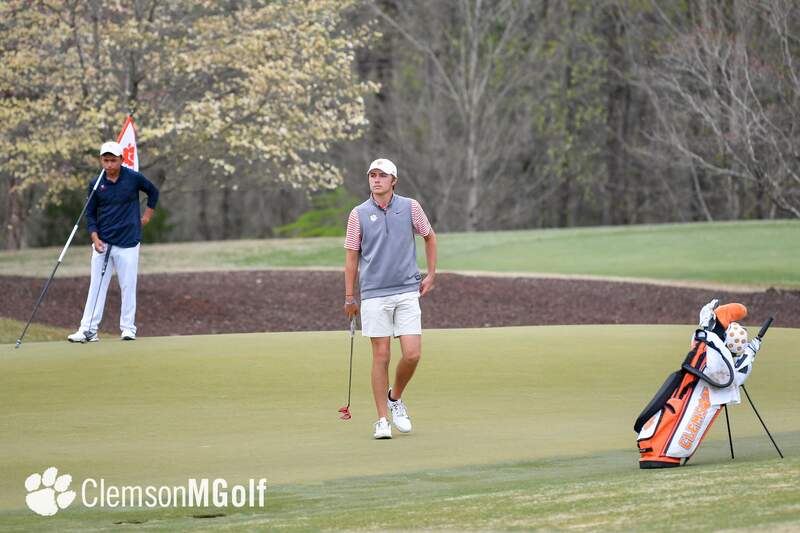 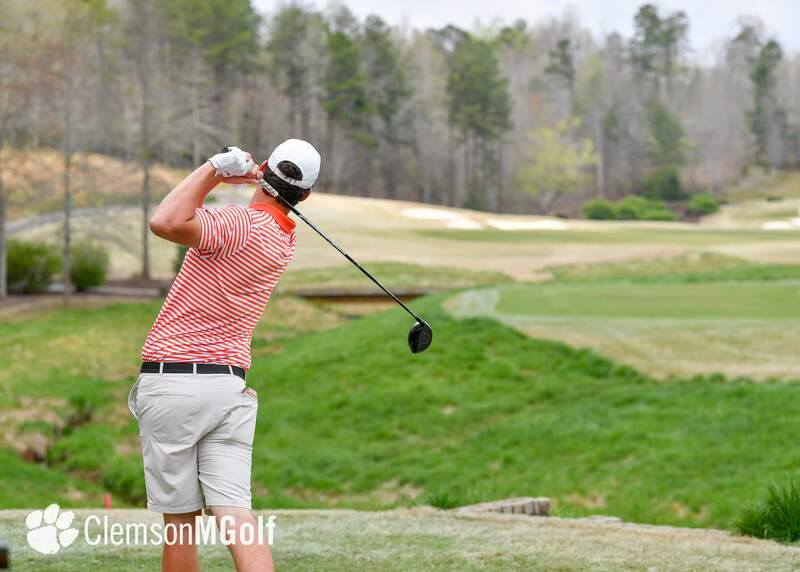 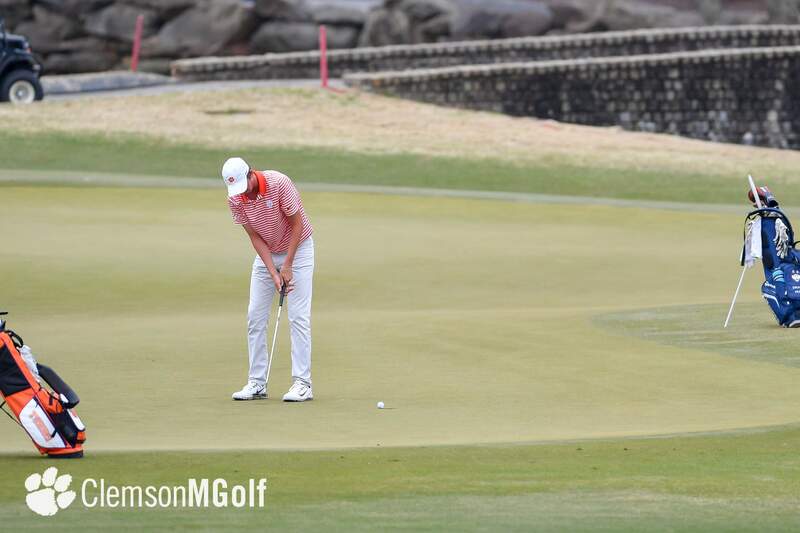 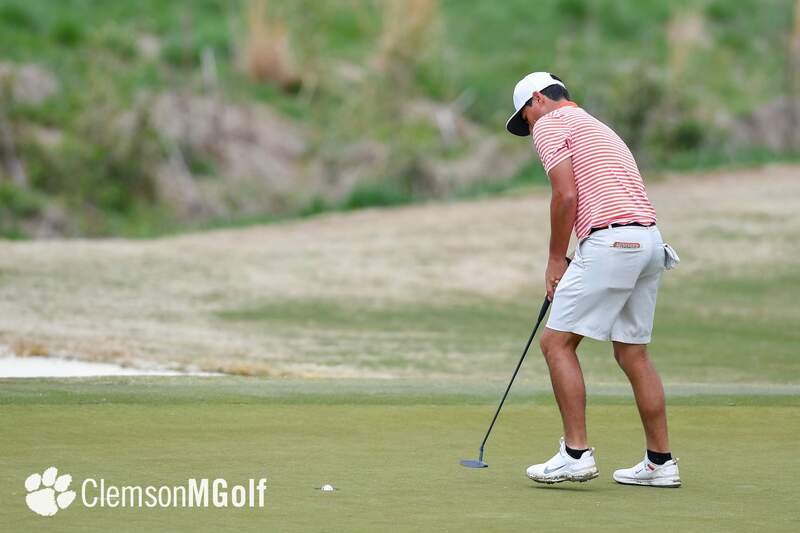 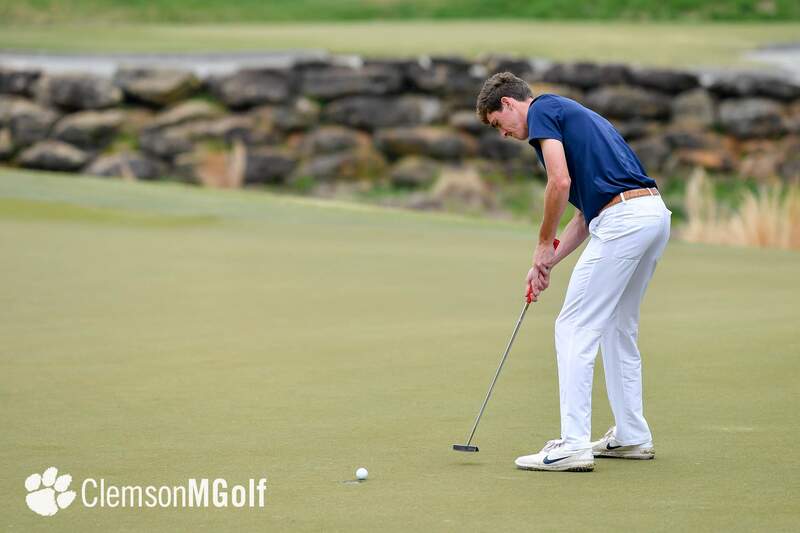 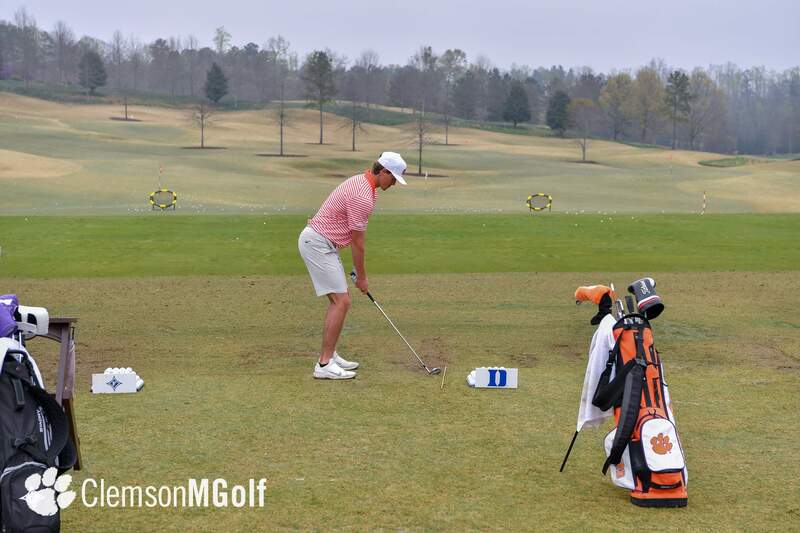 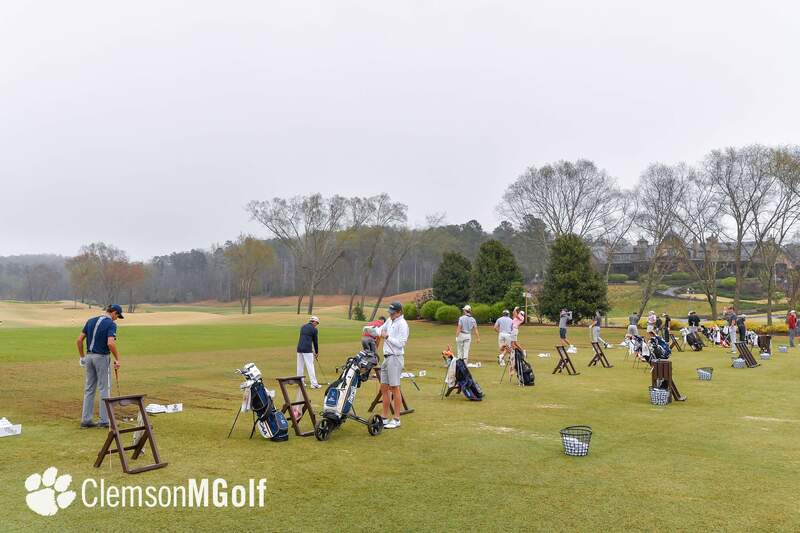 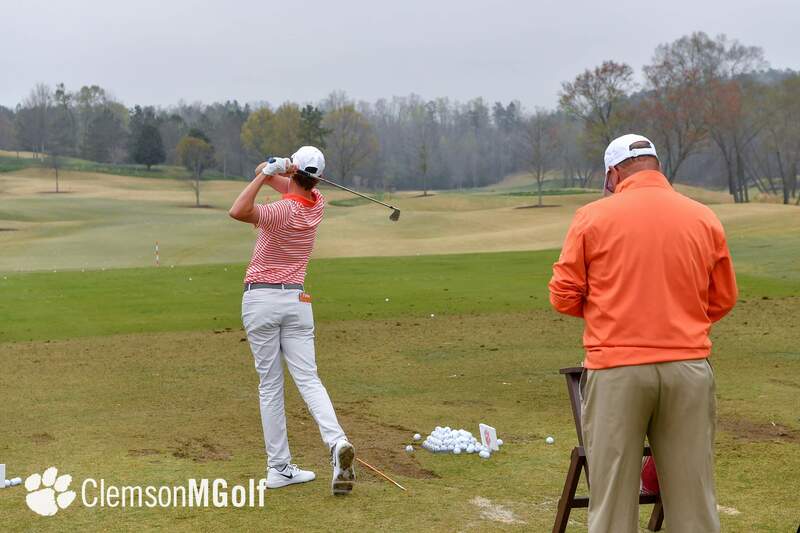 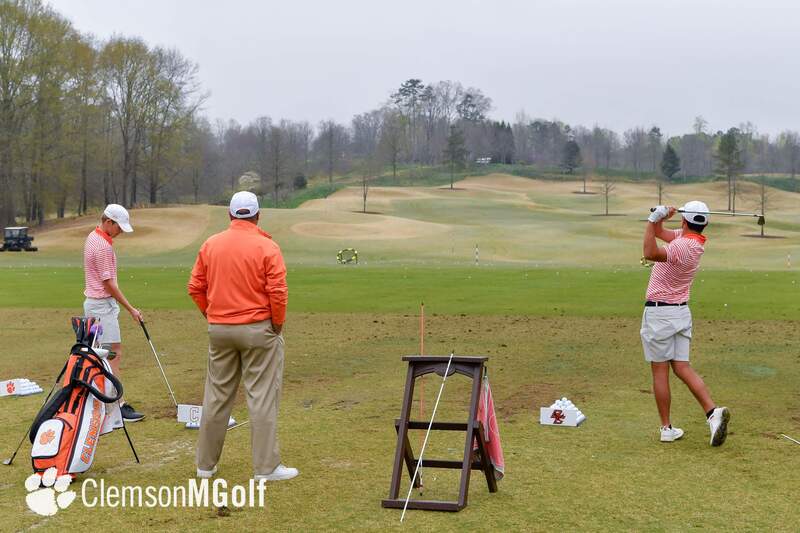 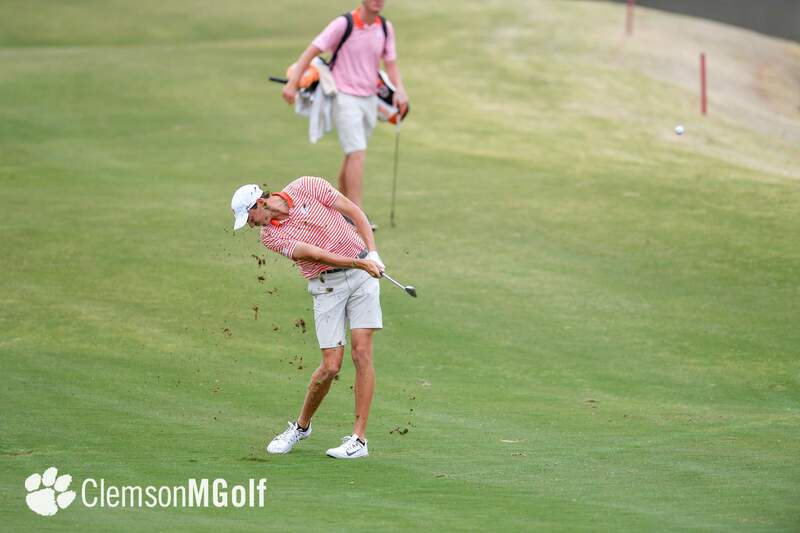 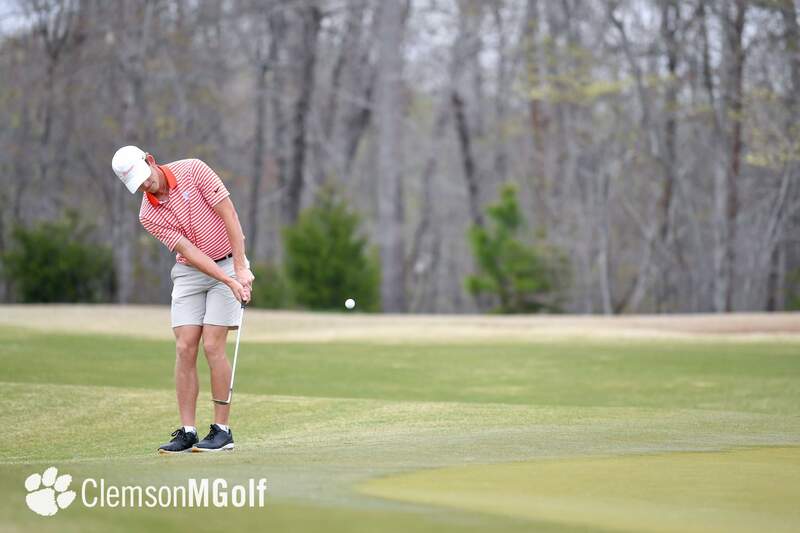 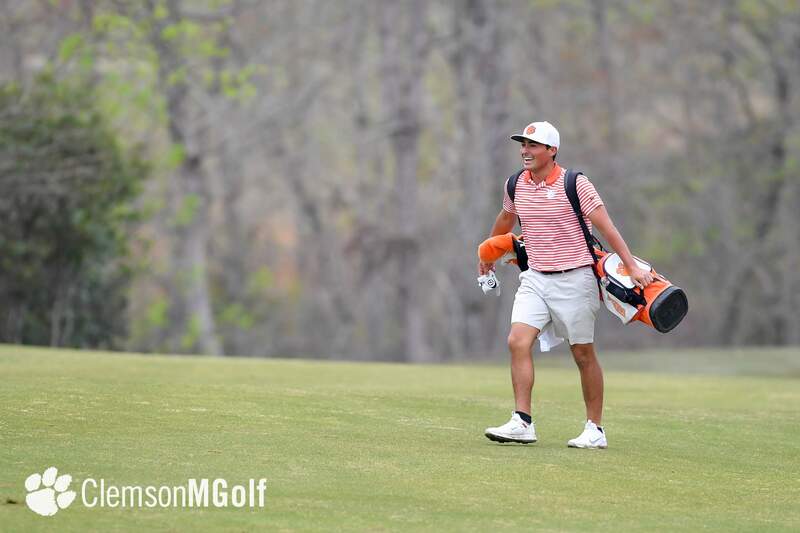 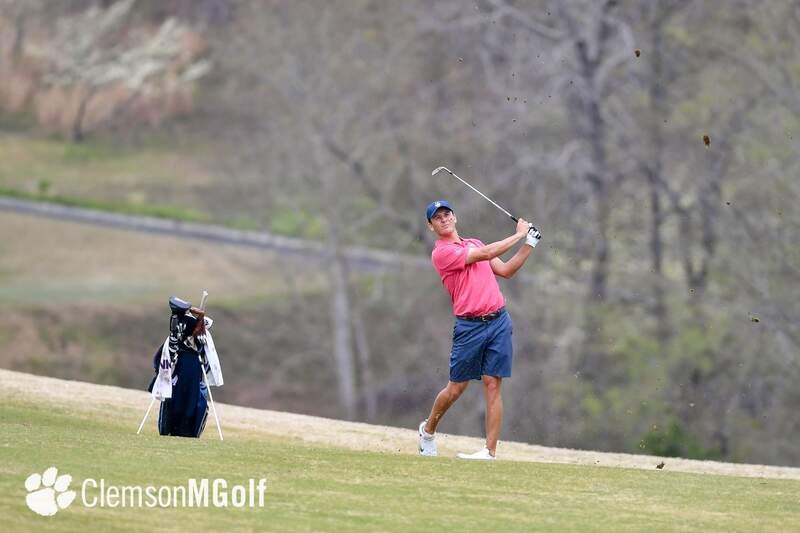 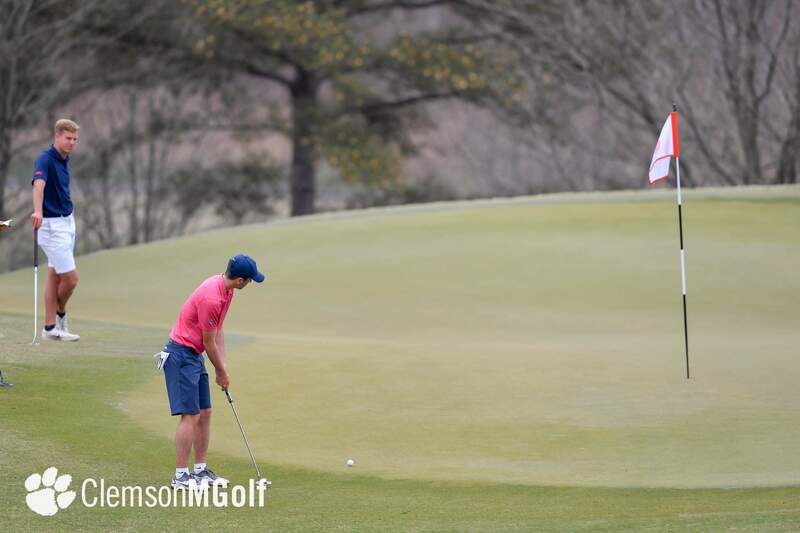 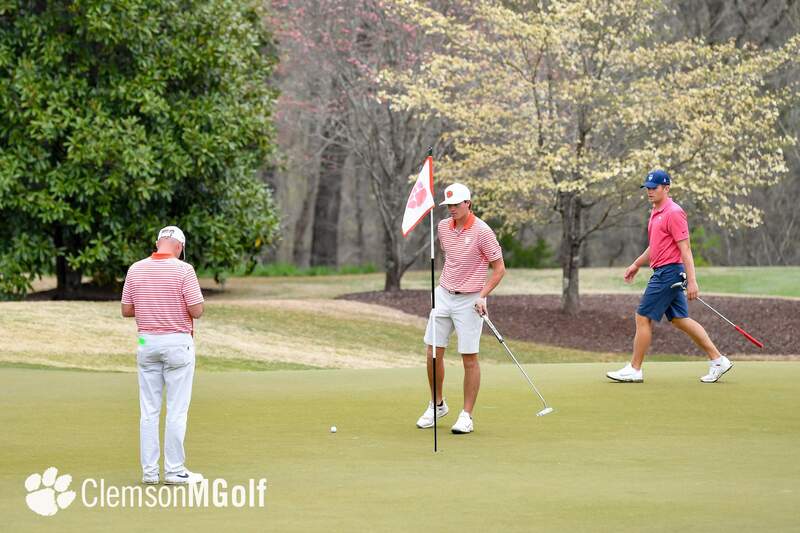 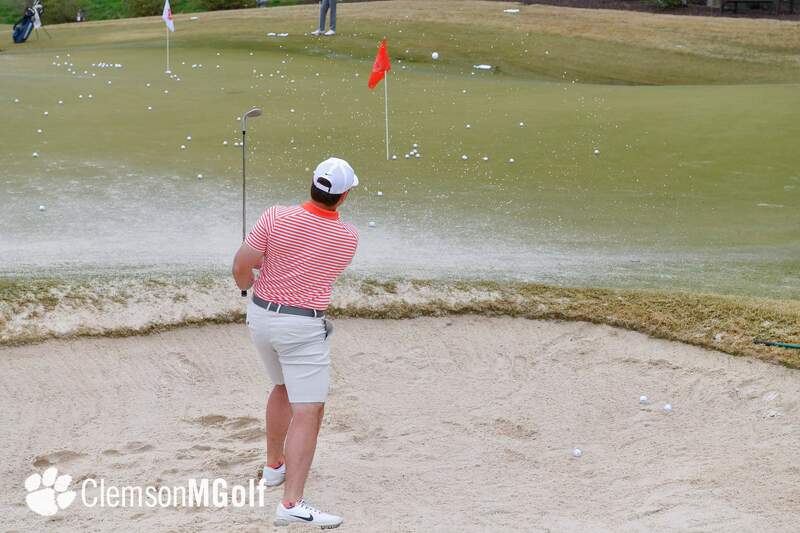 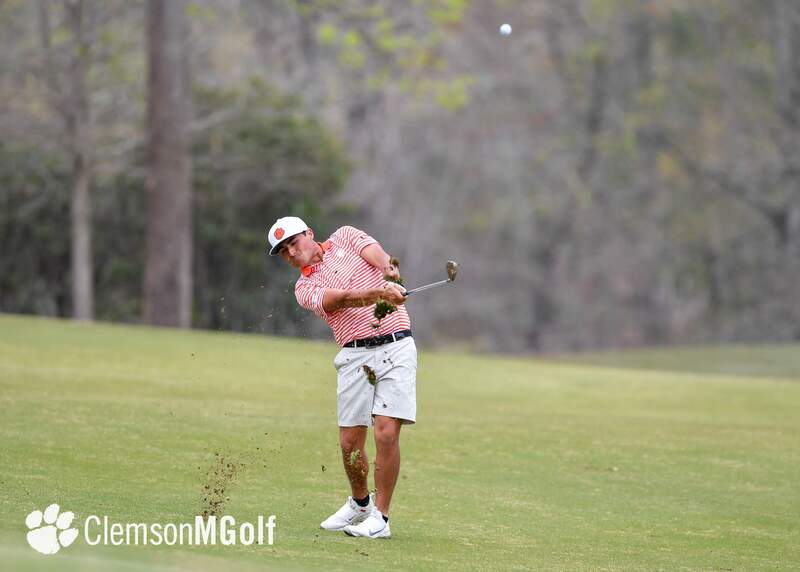 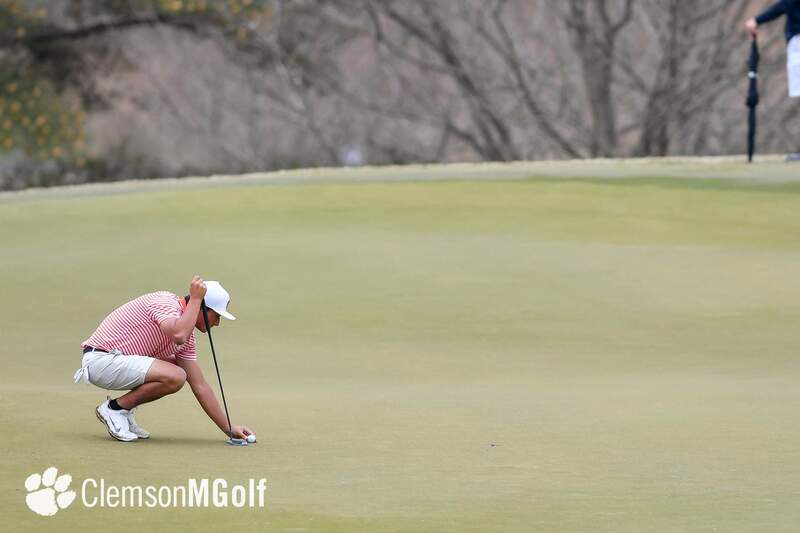 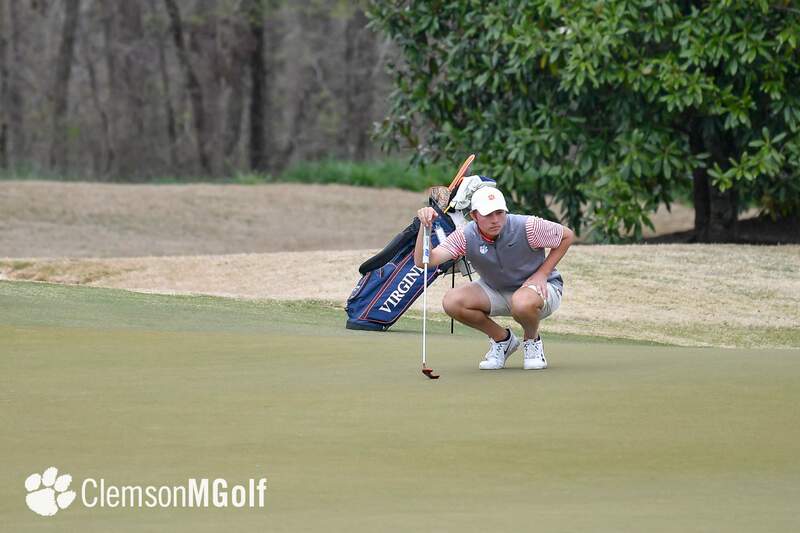 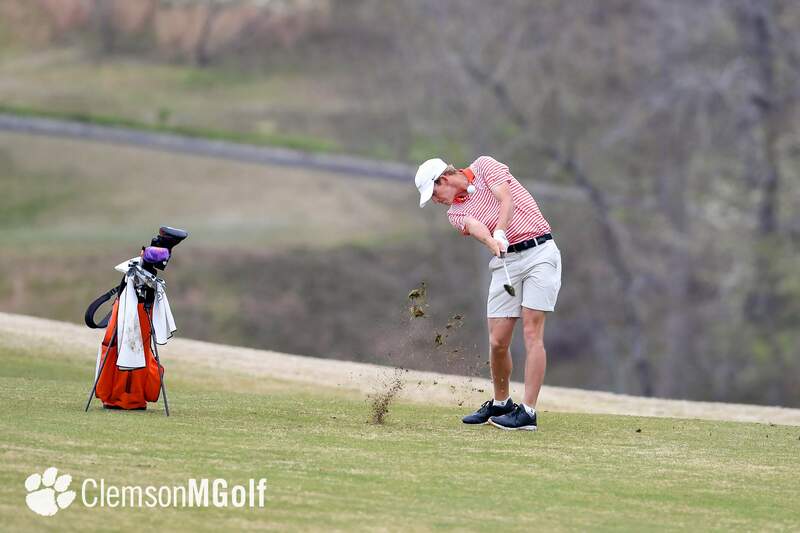 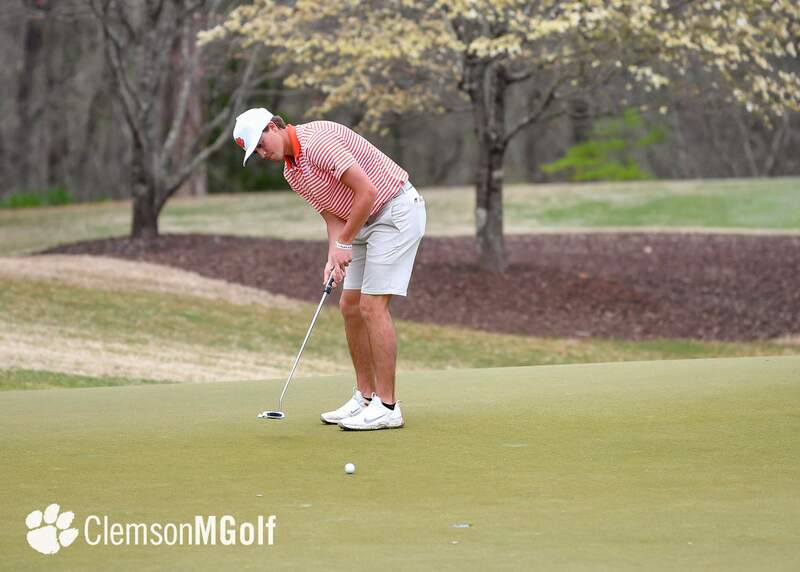 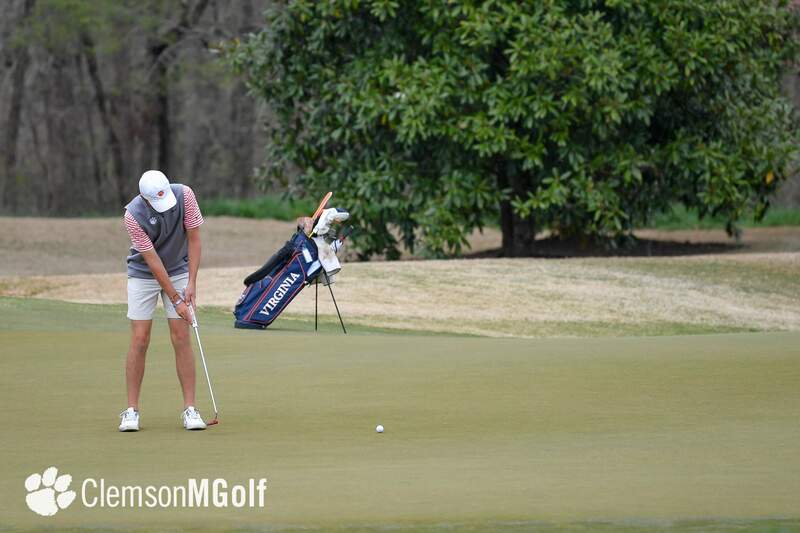 Schniederjans shot a Clemson Invitational record 62 on Saturday and had a four-shot lead over Nimmer entering the final round. 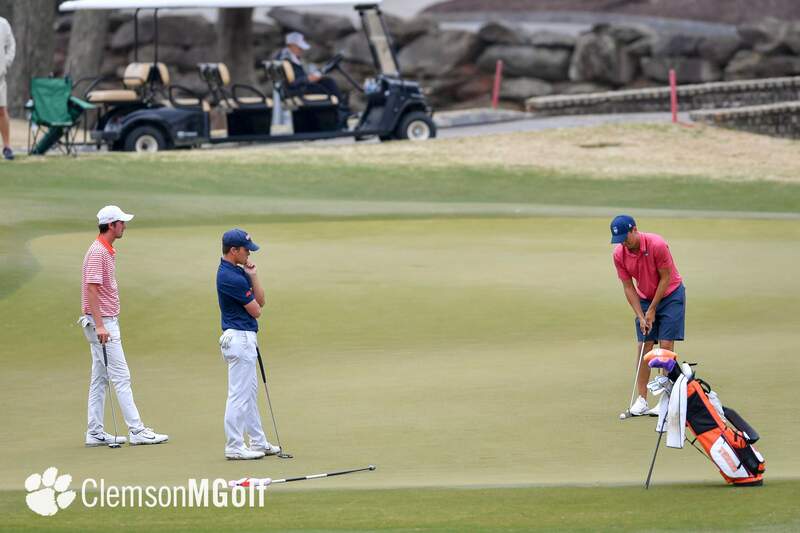 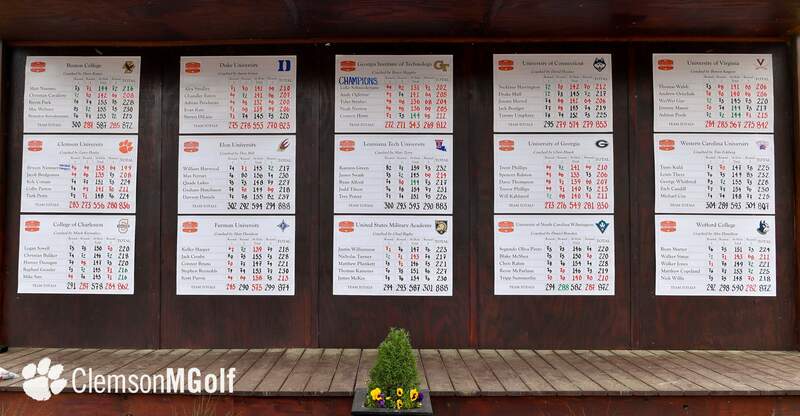 But the Georgia Tech All-ACC performer shot a 71 in the final round. 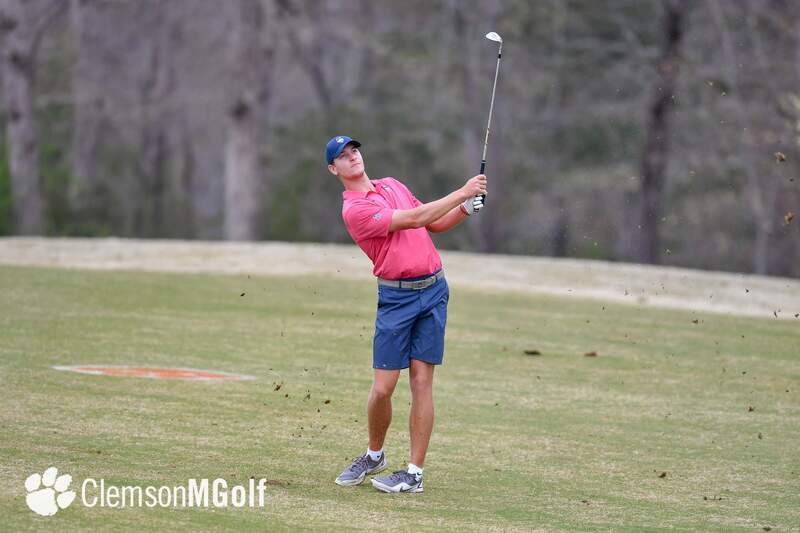 In addition to Schniederjans, Georgia Tech was led by Tyler Strafaci, Andy Ogletree and Noah Norton. 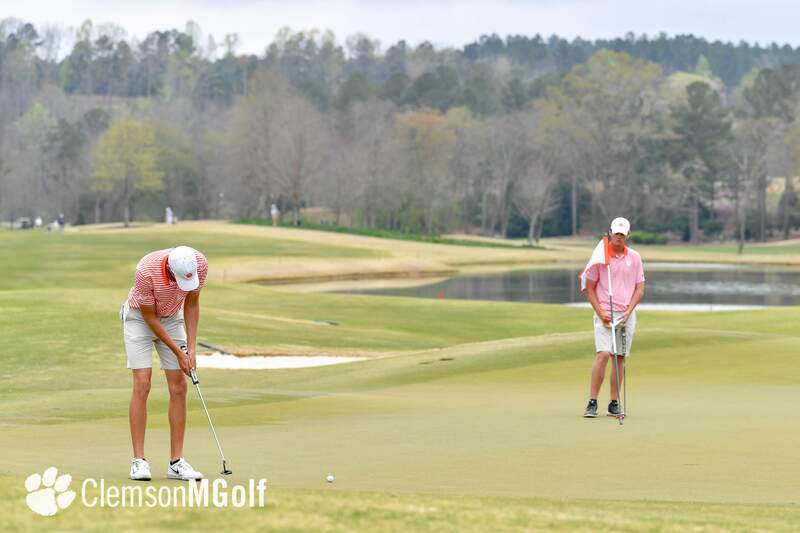 The Yellow Jackets had four of the top six finishers in the tournament. 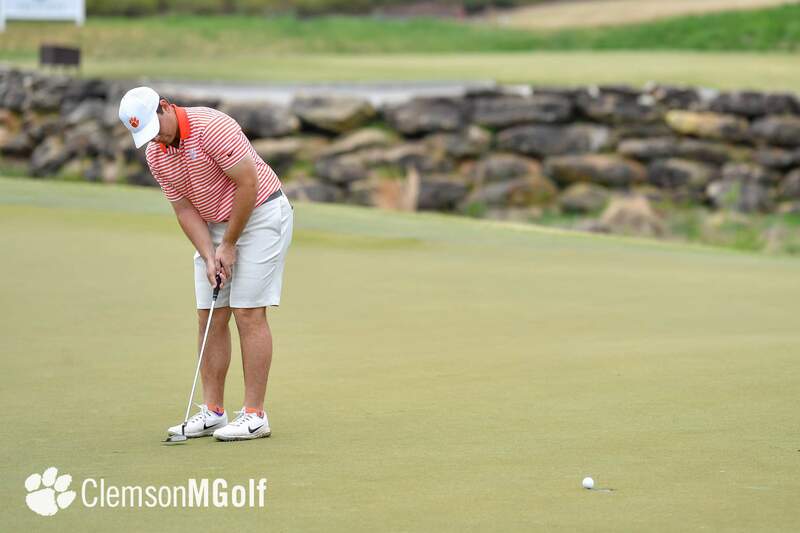 Ogletree shot a tournament record 28 on the back nine on Sunday on the way to a 64 and a 54-hole score of 205. 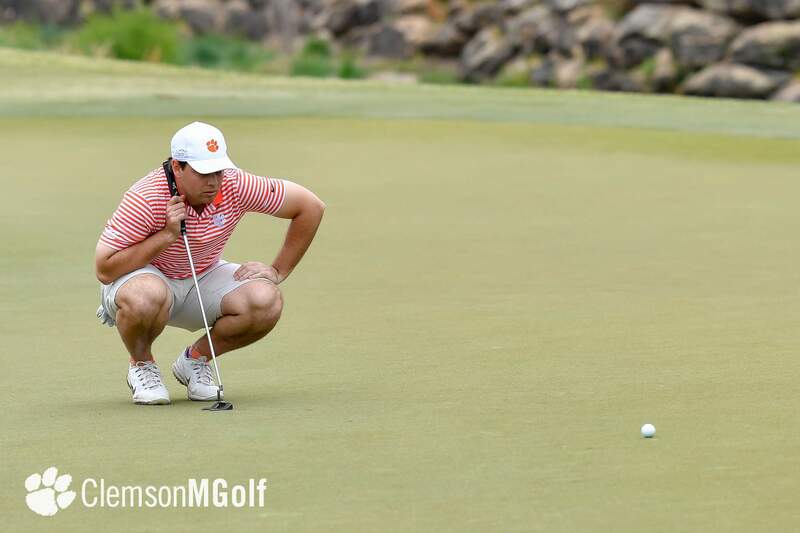 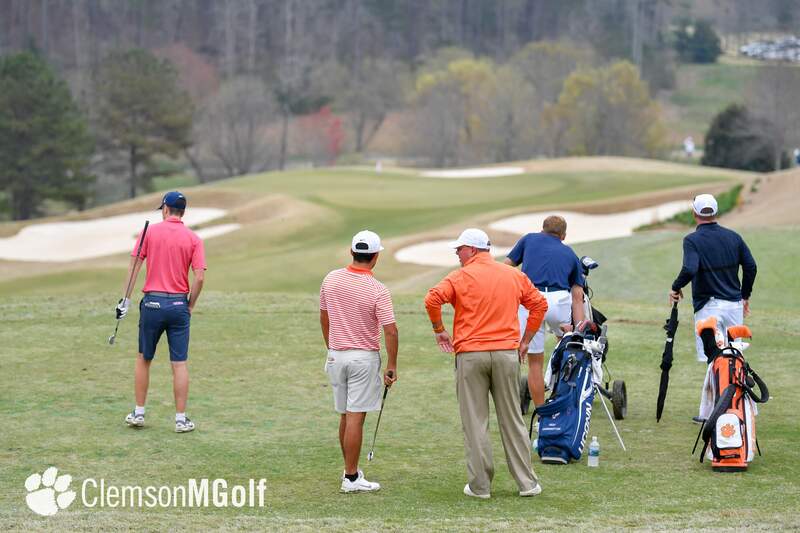 Clemson had two other players finish in the top 20 in the 81-player field. 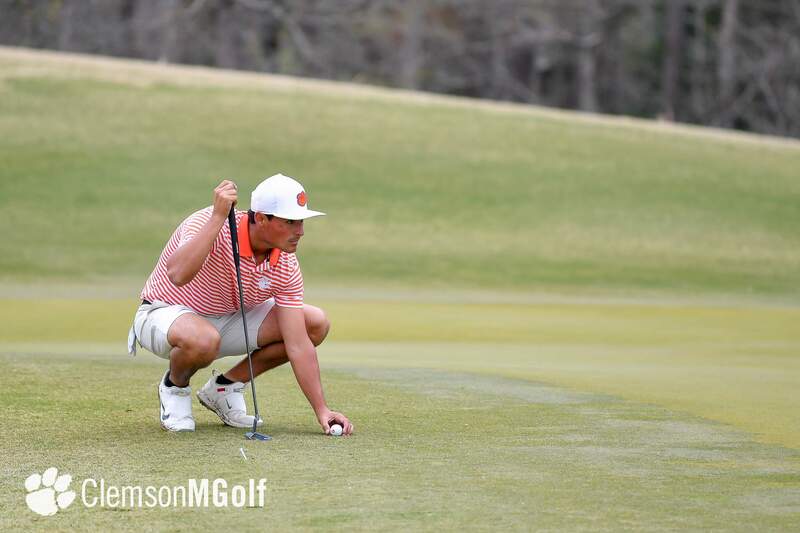 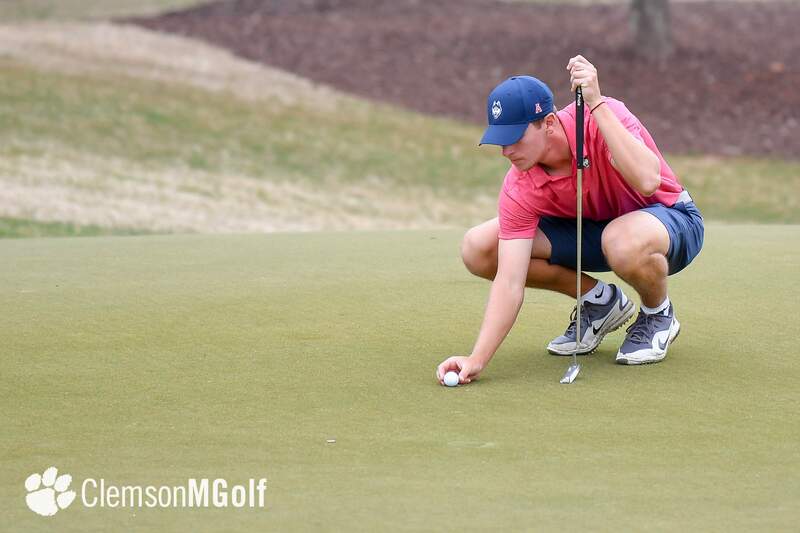 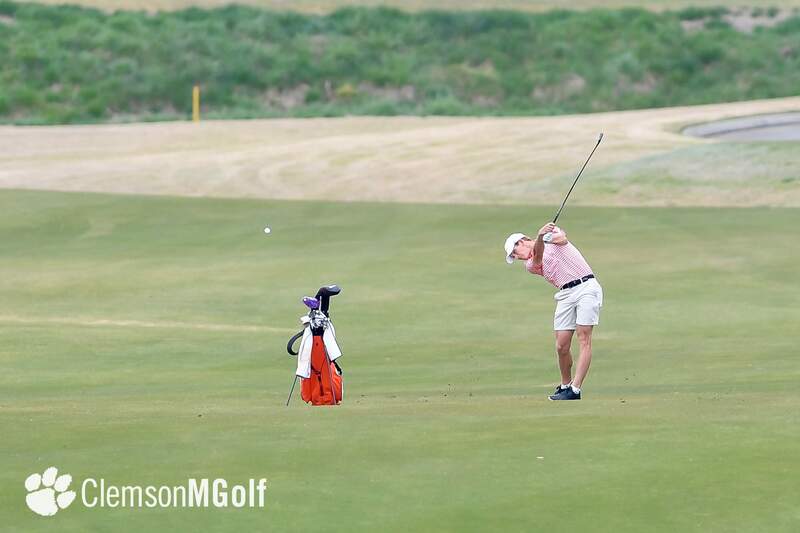 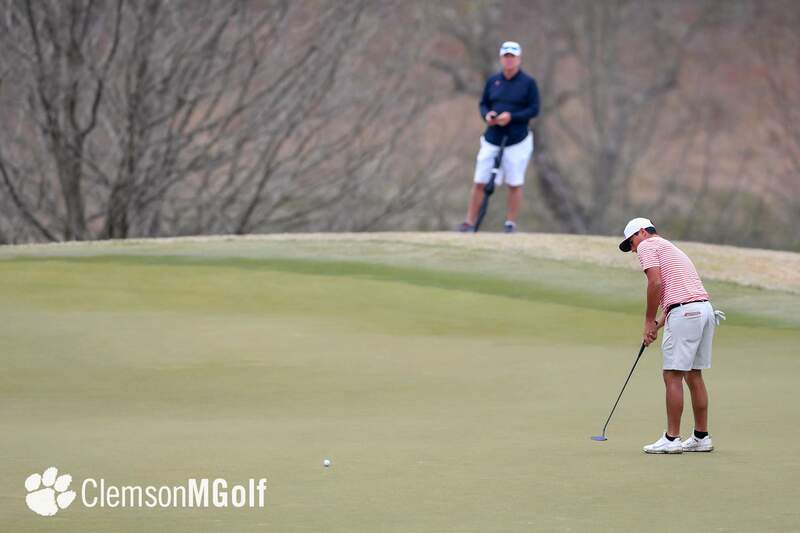 Freshman Jacob Bridgeman had a final round 73 after rounds of 69-66 to finish in a tie for 14th place at 208, while Colby Patton had his best tournament of the year with a three-round total of 211, five-under-par, good enough for 19th. 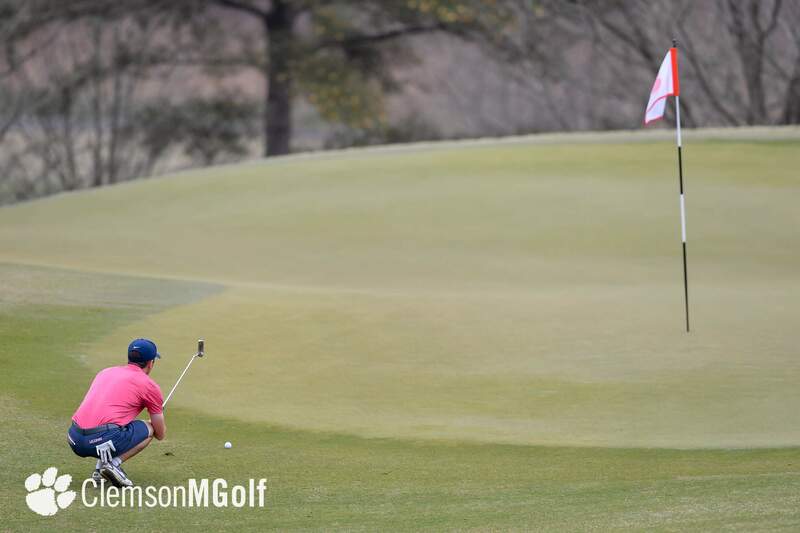 His second round 67 was his best of the year. 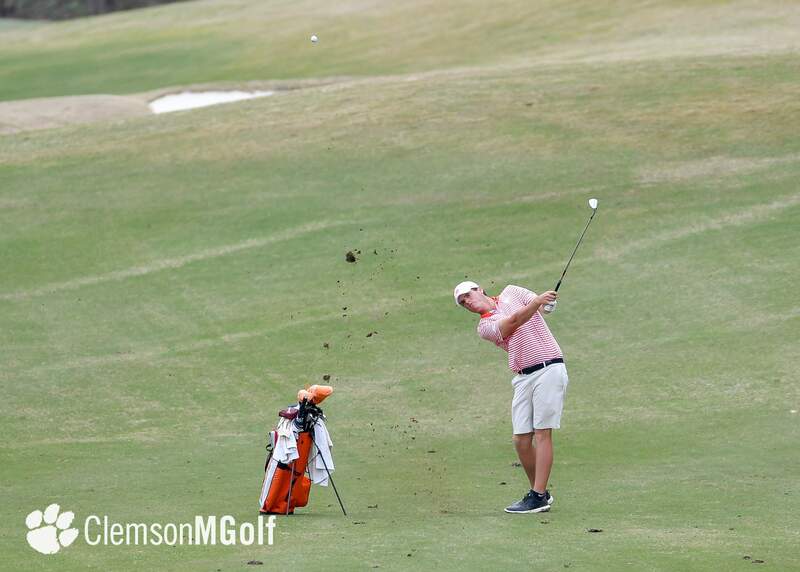 Kyle Cottam and Turk Pettit finished with 224 scores for the three rounds, good enough for a 55th place finish. 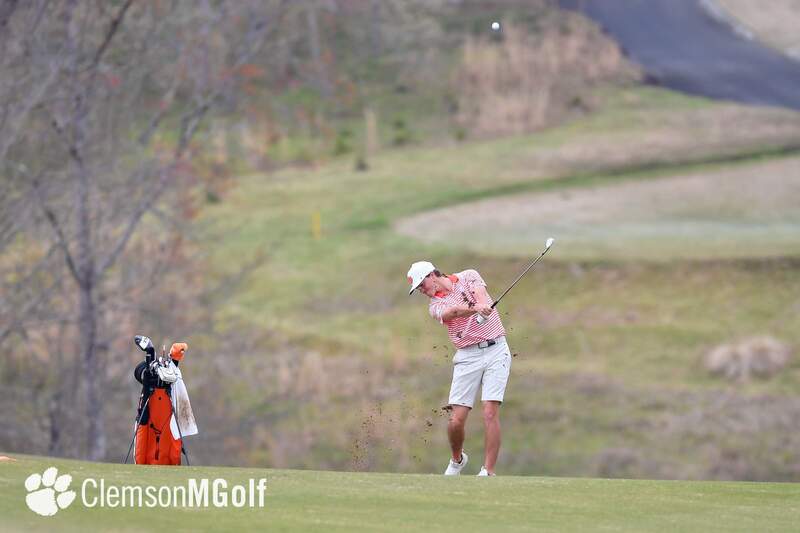 William Nottingham played as an individual and had a 213 score for the three rounds, good enough for 24th place. 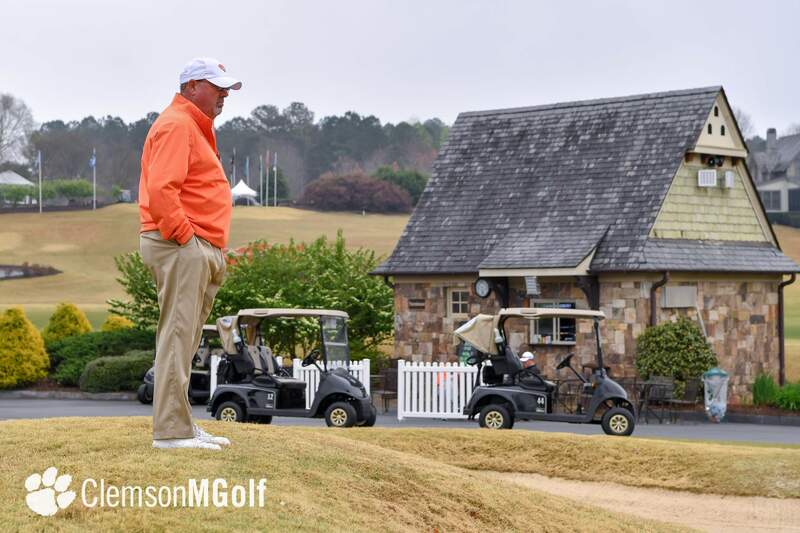 He had a second round 68 to highlight his weekend. 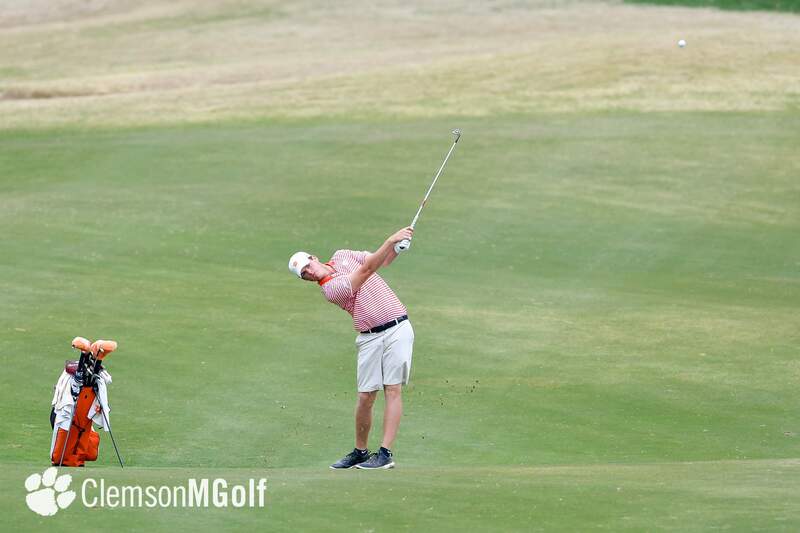 Bryson Nimmer 66-69-64/199; 14. 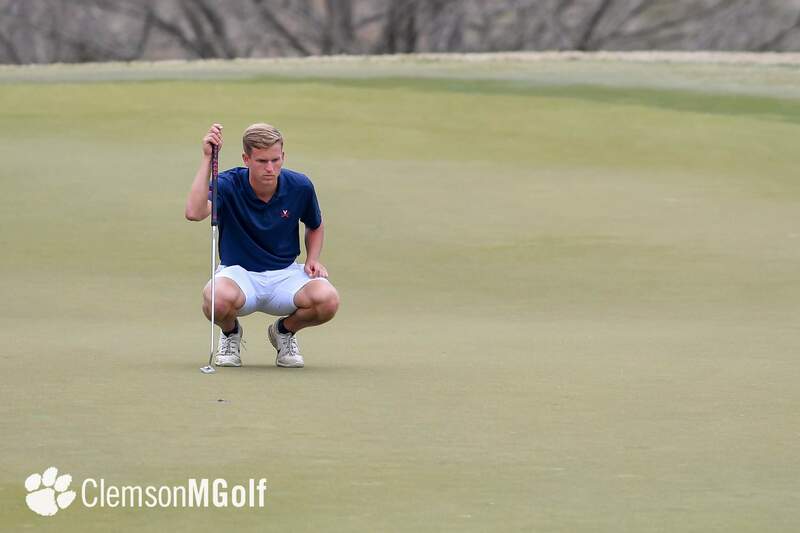 Jacob Bridgeman 69-66-73/208; 19. 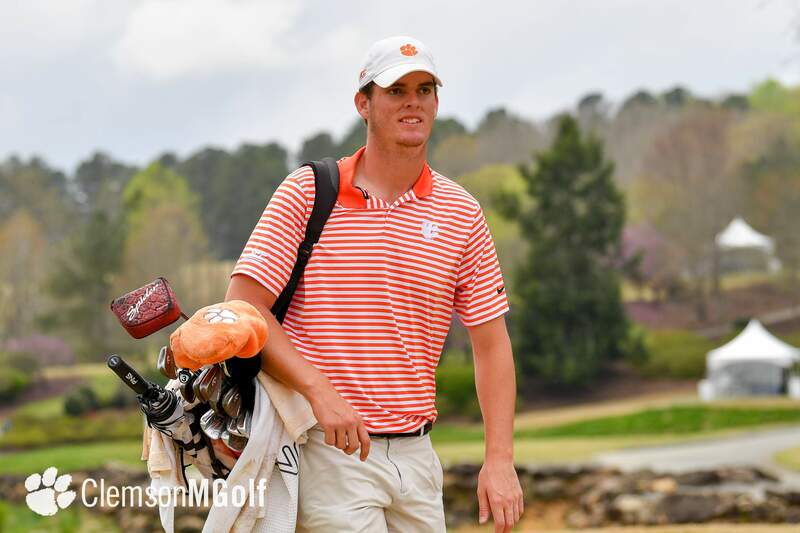 Colby Patton 74-67-70/ 211; 55. 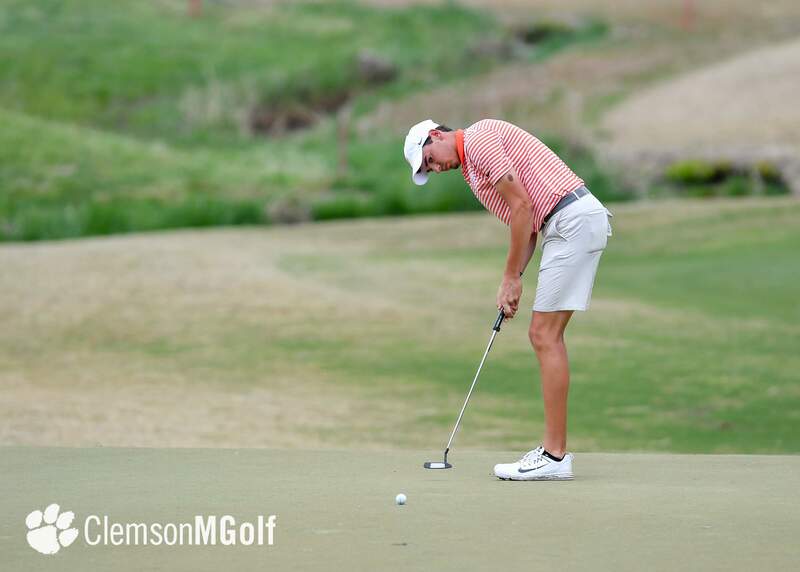 Kyle Cottam 74-77-73/224; 55. 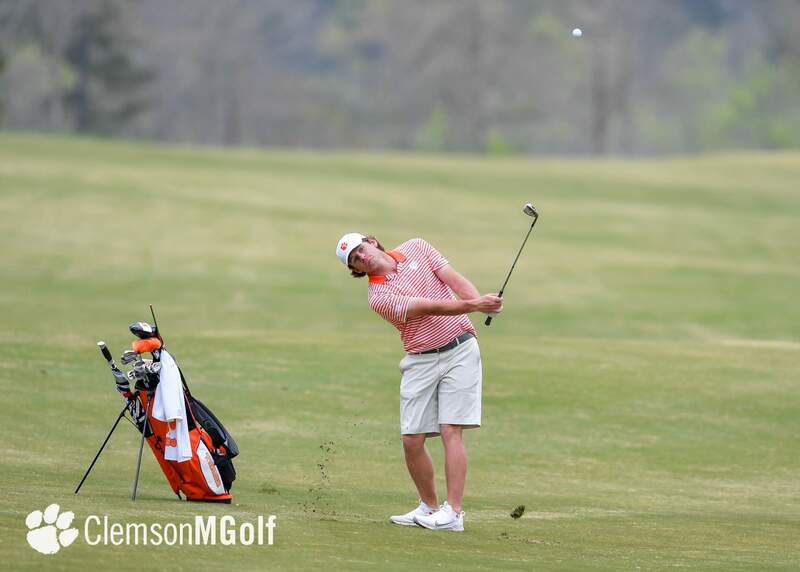 Turk Pettit 77-71-76/224. 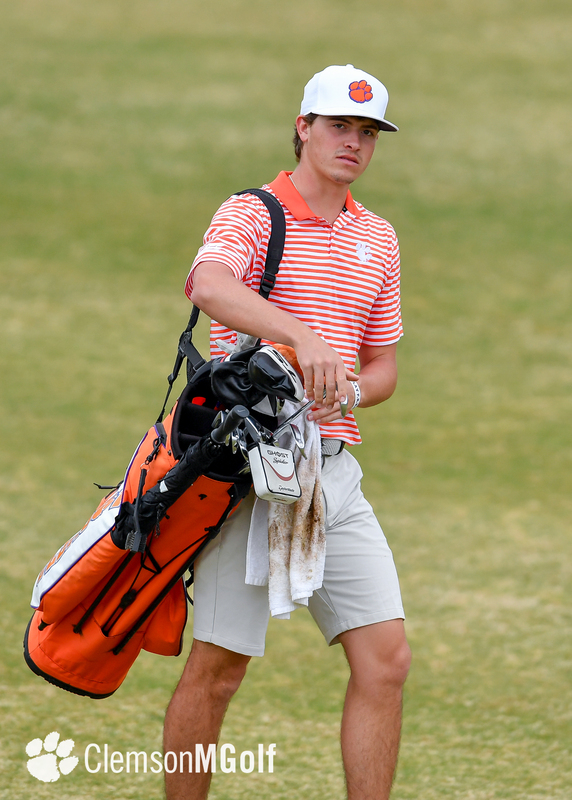 William Nottingham 73-68-72/213; 64. 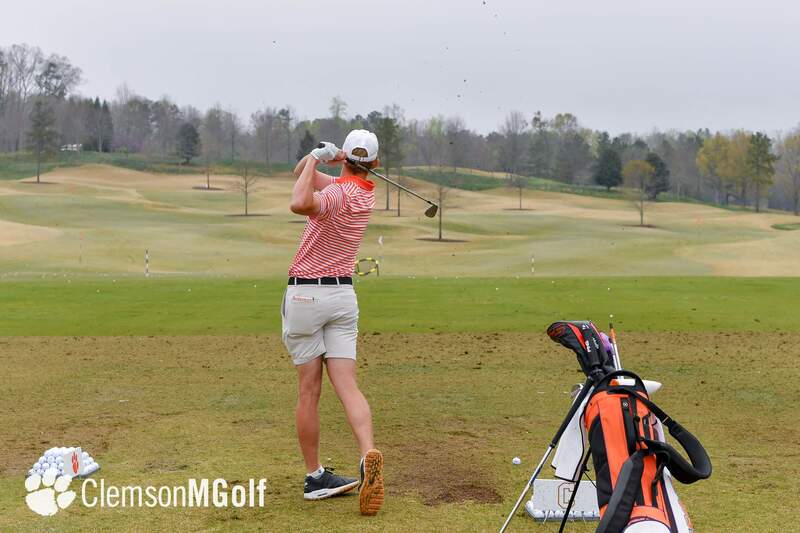 Zack Gordon 80-74-73/ 227; 64. 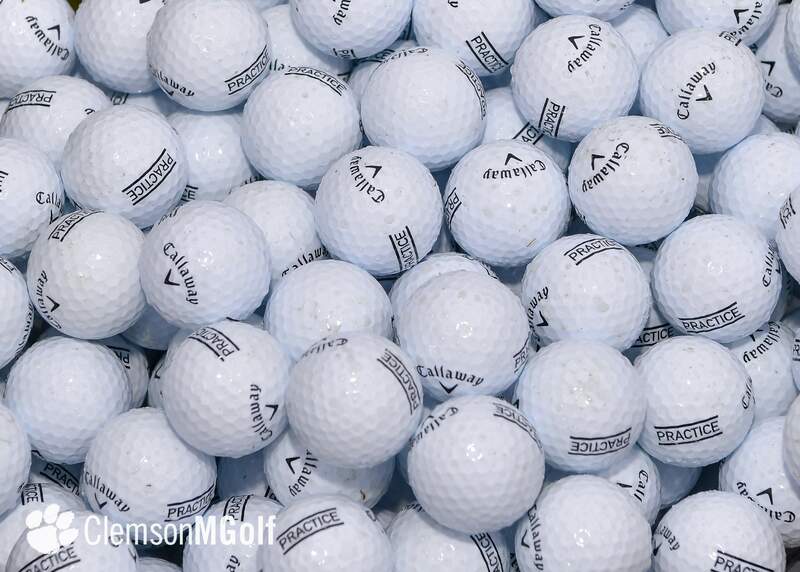 Coleman Self 78-76-73/ 227; 81. 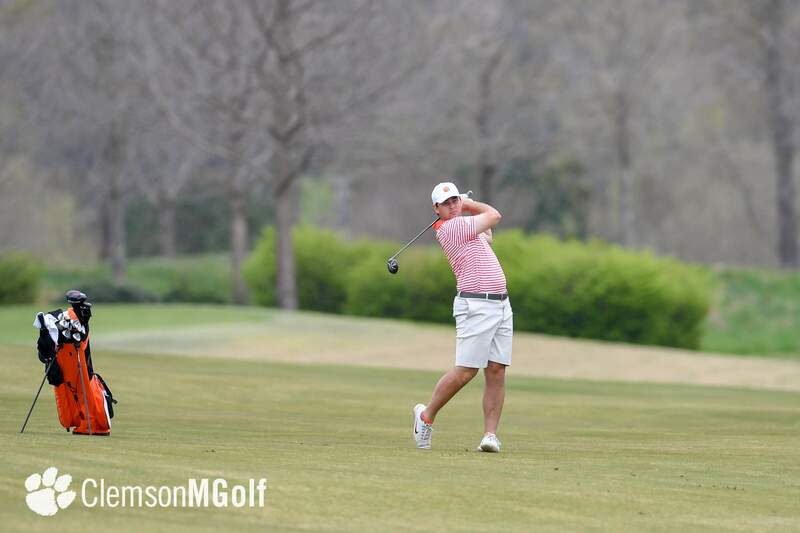 Jonathan Rector 82-81-76/239.